We have a new email address. You can reach us at General@TucsonCelt.org. Please update your contact list. We will no longer be reachable @tuconcelticfestival.org. You can contact our staff at the following addresses or by going directly to the Contact Us page. Please follow this link for a list of host hotels for the festival. Aviva Children's Services - Since 1978, Aviva Children’s Services has strived to fulfill its mission of providing enhanced services to improve the quality of life for children who are victims of neglect, abuse and poverty, and are in the care of the Department of Child Safety (formerly CPS) in Pima County. You can find out more about this wonderful organization by clicking here! A big thanks to everyone who came to the 32nd Annual Tucson Celtic Festival & Scottish Highland Games. We appreciate your support and can't wait to see all of you next year. Did you know....? Each year the Tucson Celtic Festival Association chooses a local charity to support at our annual festival. We have in the past supported great causes like Retired Paws, the Tucson Community Food Bank and Tu Nudito. This year we are pleased to announce we will be supporting Aviva Children's Services. 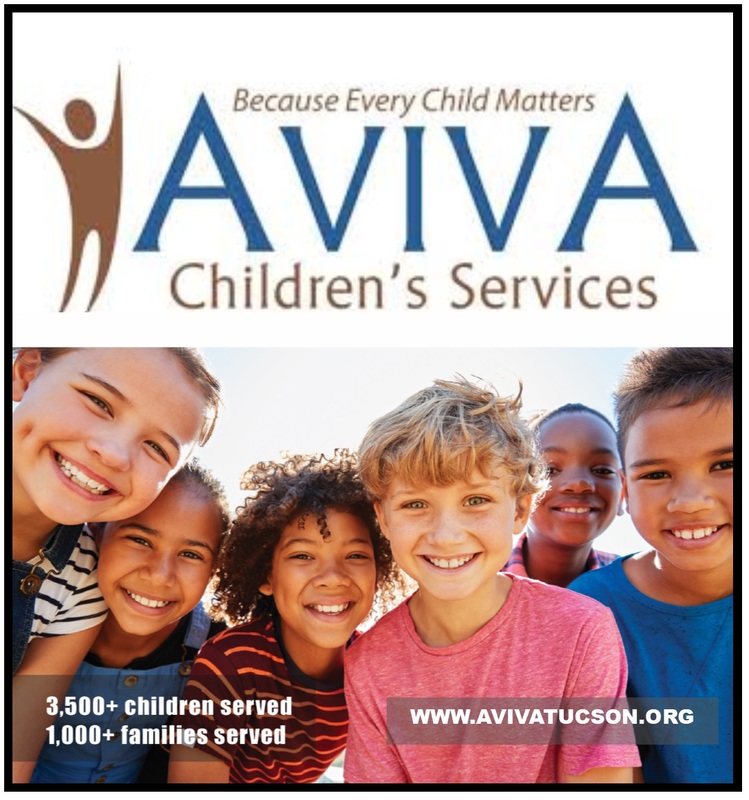 Since 1978, Aviva Children’s Services has strived to fulfill its mission of providing enhanced services to improve the quality of life for children who are victims of neglect, abuse and poverty, and are in the care of the Department of Child Safety (formerly CPS) in Pima County. We will also be supporting Parkinson Wellness Recovery on our Friday's Pirate Pub Night. Please come out and support two great organizations by visiting their booths at the festival. We are a non-profit, 501(c)(3) have been fortunate enough to be able to support other non-profit groups in the Tucson community. If you are part of an organization and would like to be considered to be our charity for the 2019 Tucson Celtic Festival & Scottish Highland Games please email us one page telling us about your organization and why you would like to be considered. Requests are due by April 1 and should be emailed to tucsoncelticfestival@hotmail.com. Thank you!